Qwilfish in game: 3,658 Who? Important notice! Pokemon Qwilfish is a fictional character of humans. Qwilfish is a sea dwelling Pokémon with a spherical body and a flat, paddle-shaped tail. The upper-half of its body is dark teal and the lower half is very light yellow. Its tail is tall and thin with a dark teal outline, light yellow inside, and two dark teal dots in the center. 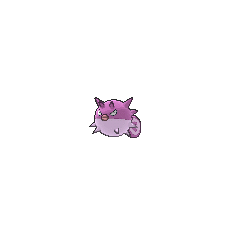 Its eyes are even with its body, and are always seen slanted angrily. Below its eyes are its puffy pink lips. All around its body are sharp, conical spikes, which evolved from scales over time. 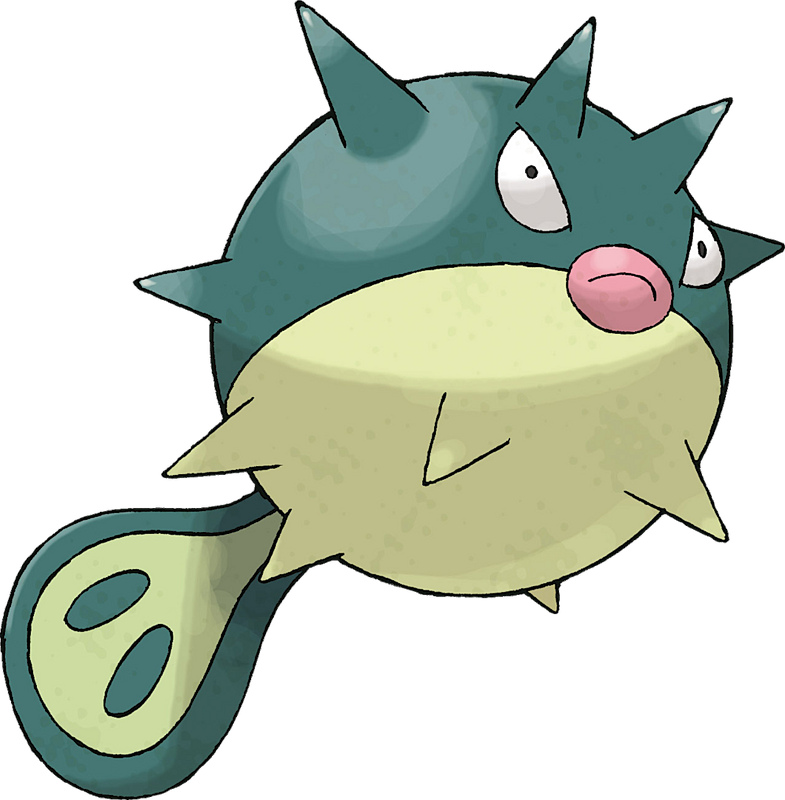 In order to attack, Qwilfish drinks over 2.6 gallons of water to inflate its body. 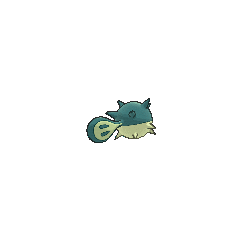 It then uses the water pressure to shoot poisonous quills at its foe, which can cause fainting. 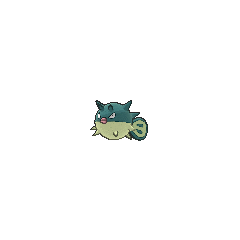 Due to its round body, Qwilfish is not a great swimmer, and when filled with water it is even harder for it to swim. Qwilfish made its first anime appearance in Dueling Heroes, owned by Harrison. Dorian, the leader of the unofficial Coastline Gym featured in Just Add Water, owns a Qwilfish. Qwilfish first appeared in Snorlax Snowman. A Qwilfish was seen at a Pokémon Center in The Legend of Thunder!. Multiple Qwilfish were among the Pokémon living in Lake Slowpoke in Enlighten Up!. A Qwilfish was used by a competitor in the Tour de Alto Mare, a water chariot race, in Pokémon Heroes: Latios & Latias. There was also a balloon made to look like a Qwilfish in Jirachi: Wish Maker. Multiple Qwilfish made a cameo in Pokémon Ranger and the Temple of the Sea and Giratina and the Sky Warrior. Several Qwilfish appeared in Hold the Phione!. Multiple Qwilfish appeared in Going for the Gold!. Multiple Qwilfish appeared in An Undersea Place to Call Home!. A swarm of Qwilfish appeared in Querulous Qwilfish, angered by pollution that occurred as a result of an accident that occurred during the construction of the Battle Tower. Crystal captured all of them with her skills. Afterwards she found a baby Qwilfish stuck in the toxic waste; as she prepared to take it to a Pokémon Center, Suicune appeared, healing Qwilfish and purifying the sea-water. It is unknown if the Qwilfish are still under Crystal's ownership or were released afterwards. In The Last Battle XIII a Qwilfish was one of the Pokémon sent to help during the fight in Ilex Forest. Qwilfish can be seen under the possession of several Team Aqua Grunts during the Ruby & Sapphire chapter. 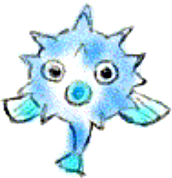 Much later, in the Platinum chapter, Qwilfish appeared as one of the Pokémon that Platinum rented during the Battle Factory challenge. An early design for Qwilfish, called Bukū, depicts it with a more fish-like tail and fins.